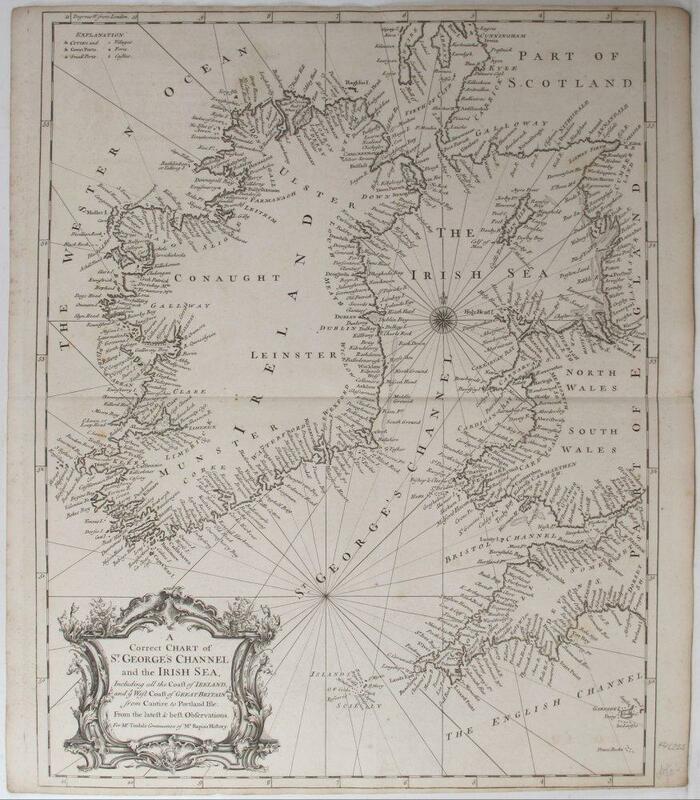 viaLibri ~ A Correct Chart of St. George's Channel and the Irish Sea, Including all the Coast of Ireland, and ye West Coast of Great Britain from Cantire to Portland Isle: . A Correct Chart of St. George's Channel and the Irish Sea, Including all the Coast of Ireland, and ye West Coast of Great Britain from Cantire to Portland Isle: . London: -47 1743 - 48 x 41 cm. Full colour. Folding page chart concentrating on St. George's Channel and the Irish Sea. The map also includes the west coast of Britain and all of Ireland. Upper and lower margins slightly cropped. Generally good.